A cutting-edge food fraud study – revealed exclusively to Which? 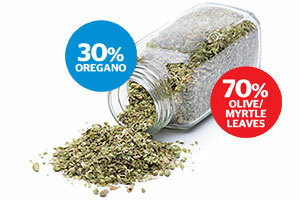 – found that 25% of 78 samples of dried oregano bought from a range of retailers contained ingredients other than oregano. These ingredients, most commonly olive and myrtle leaves, were found to make up between 30% and 70% of the product. So in some cases, less than a third was actually oregano. The snapshot investigation used oregano samples bought from a range of shops in the UK and Ireland and from online retailers, and was led by food fraud expert Professor Chris Elliott. You can help stop food fraud – click to sign up to our Food Fraud Campaign. The test, using mass spectrometry which identifies compounds by their atomic composition, was conducted by Professor Elliott, Director of the Institute for Global Food Security, and author of the independent review into food crime commissioned by the government in the wake of the horsemeat scandal. Professor Elliott said: ‘Clearly we have identified a major problem and it may well reflect issues with other herbs and spices that enter the British Isles through complex supply chains. We’ve teamed up with Professor Elliott in the past to reveal that 40% of the lamb takeaways we tested contained other meat and, on the back of this, launched our Food Fraud campaign. We think it’s unacceptable that you don’t know what you’re adding to your food. We want the government, food safety regulator the Food Standards Agency and local authorities to stop food fraud. We are sharing the results from this study with the Food Standards Agency.